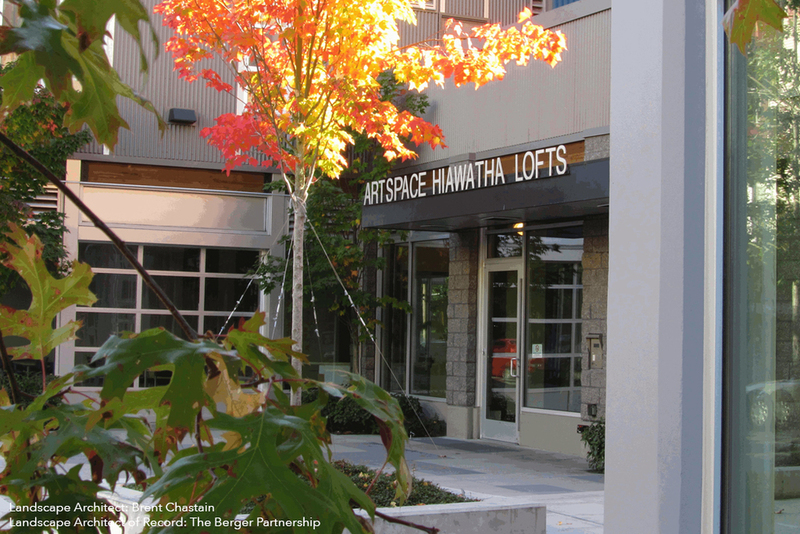 Serving the Community: A public plaza, swale, and rooftop deck make up the landscape for Hiawatha Artspace, an artist affordable housing project in Seattle. 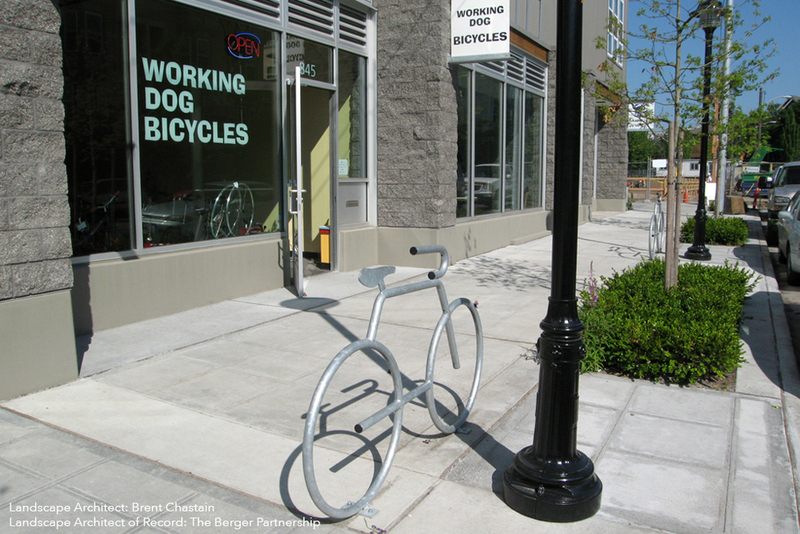 The streetscape is kept simple in order to celebrate the activities of people and business on the street and allow for flexibility in the use of the space. 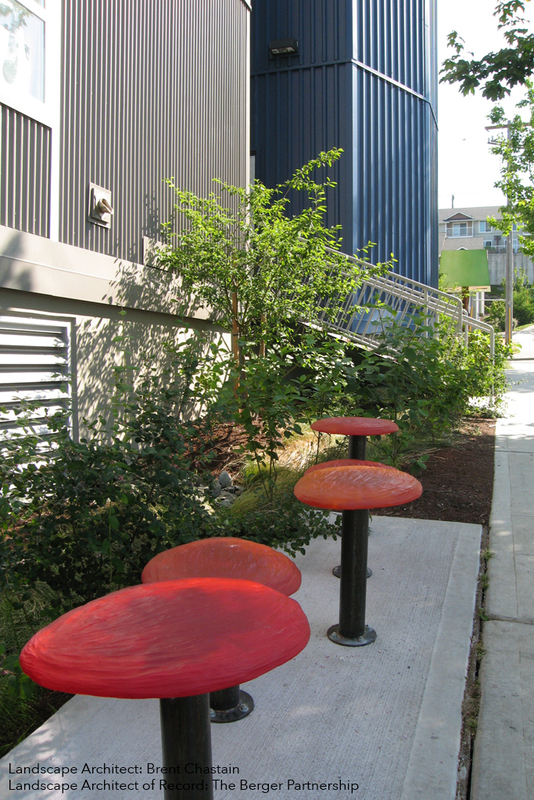 The plaza is located adjacent to a community room and acts as a way to expand and connect to the exterior. 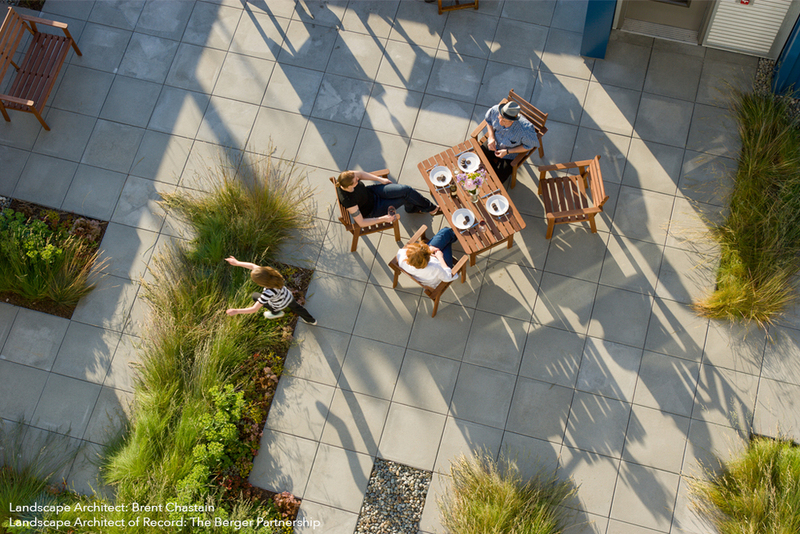 The rooftop is a more intimate space for the residents to gather. 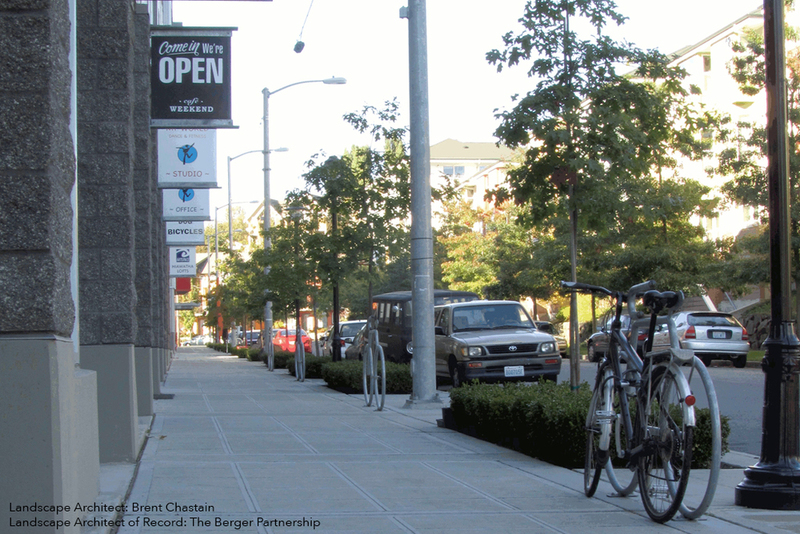 It is designed by carving out or subtracting the pavers to form spaces and pathways and provides a dynamic path through the uniform pattern of the pavers. 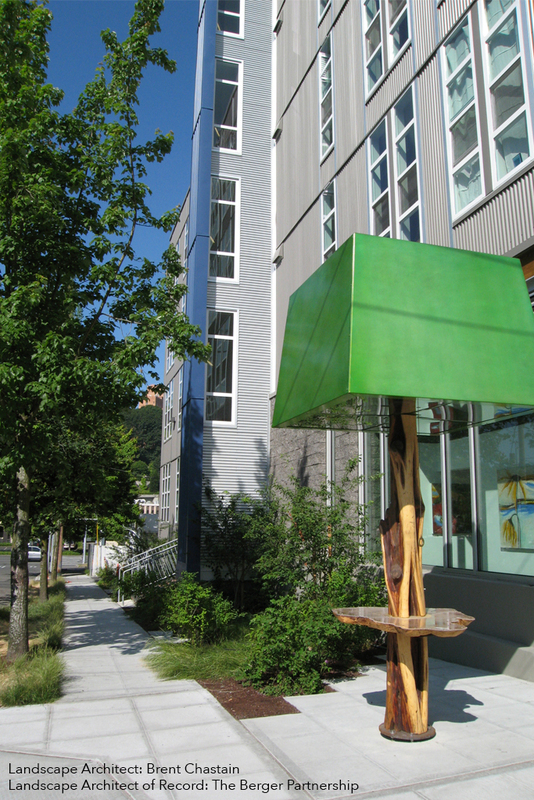 Role: Brent Chastain served as Designer and Project Manager while at The Berger Partnership.